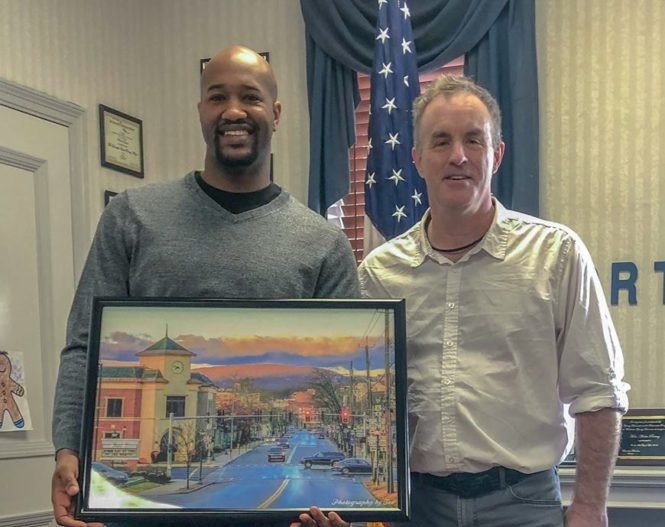 Gift for Peekskill Mayor, Andre Rainey! 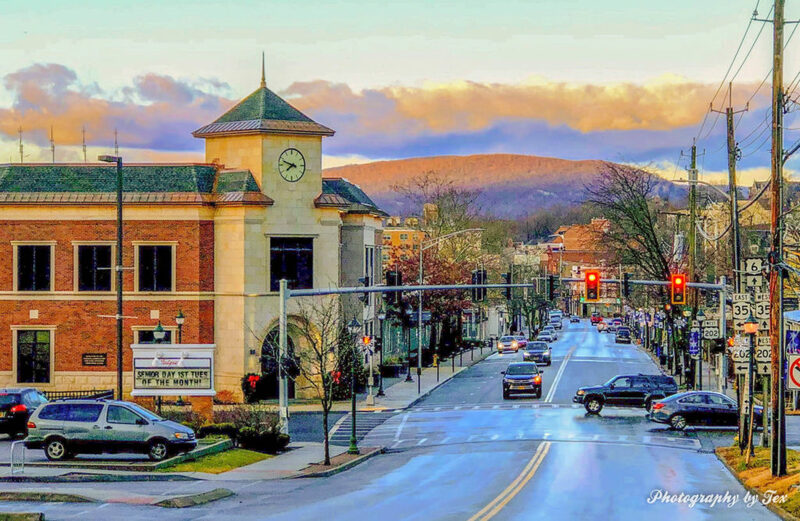 Mayor of Peekskill, Andre Rainey, expressed interest in a couple of my photos. In particular, he liked the one I took looking west on Main Street that includes the new firehouse. I had an idea that I should offer one to him as a gift. He was all for it and graciously agreed to meet this past Saturday morning. His adorable 5 year old son, Z, took this picture for us. Z had a birthday on Sunday! So please be sure to wish him a happy birthday! I have another gift-giving thing this Saturday of the same thing to the new fire station. I’m looking forward to that too! Peekskill is definitely an up and coming town. Lots of good signs all around.